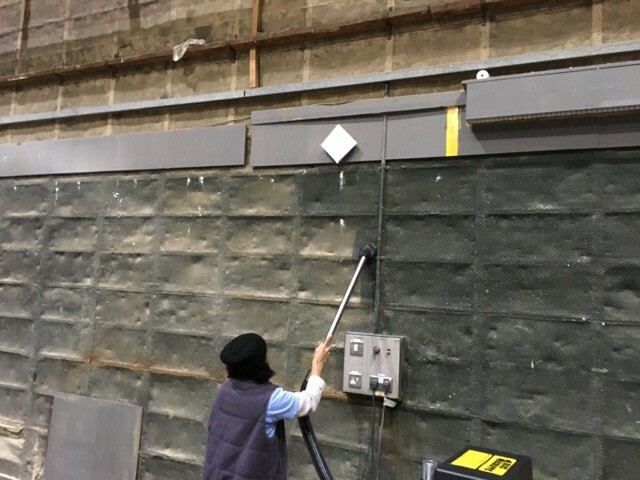 “Ealing Studios, the oldest working film studios in the world, needed a powerful vacuum system with a large capacity that could remove a range of detritus from our stages and workshops. “It was obvious from our research that the Big Brute would be robust, easy to manoeuvre and do the job required. The online videos were very helpful in making a decision. “Following our purchase of the Big Brute, it takes less time to clean our stages and stores because previous methods including traditional broom and the ‘Henry’ style vacuums created dust, were not powerful enough, had small capacity on all levels and took too long. “We recently deep cleaned our workshop and stages which due to constant use had not had a thorough clean for many years. “The Big Brute was excellent at removing small screws, dust, loose dirt, small wood chips and other detritus that was hidden in between the floorboards and all the hard to reach nooks and crannies. The 10 metre extension was a ‘must’ for us.